Kling-Net is a protocol to allow the distribution of real-time video data to remote display devices. 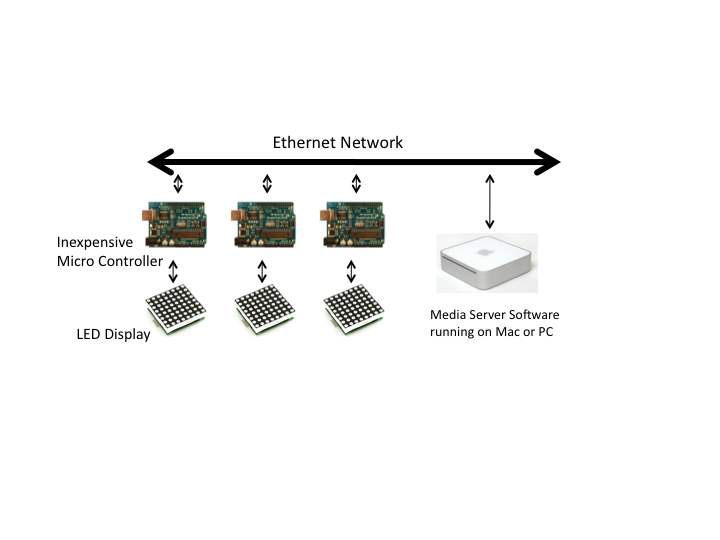 Kling-Net is a network protocol to allow auto configuration of display devices over ethernet. The protocol is developed and patented by ArKaos. - To ensure a perfect time synchronization of many display devices. The protocol allows to display visuals and to present them following a precise timing. - To add some intelligence into display devices in order to make possible the auto configuration of the device. The small processor added to the display device is very inexpensive in order to allow a low cost duplication. This page was last modified on 17 November 2014, at 04:05. This page has been accessed 153,991 times.